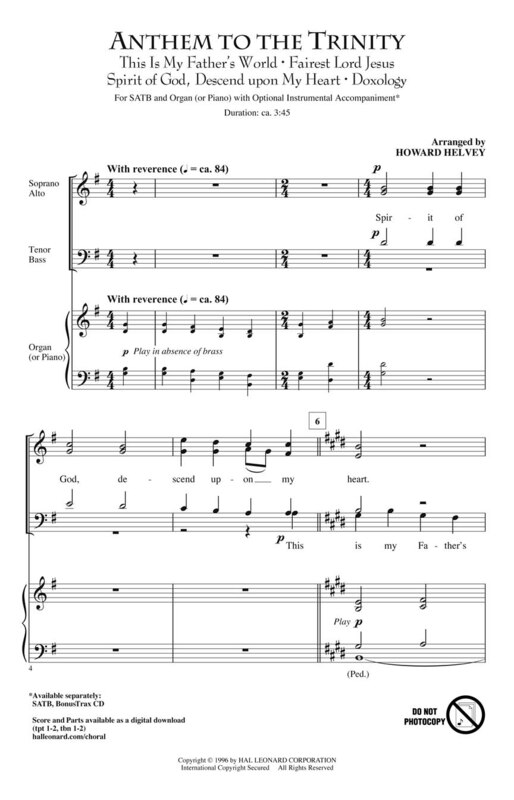 Howard Helvey has beautifully compiled a quartet of hymns that will provide an engaging moment for your choir; organist and optional brass ensemble. 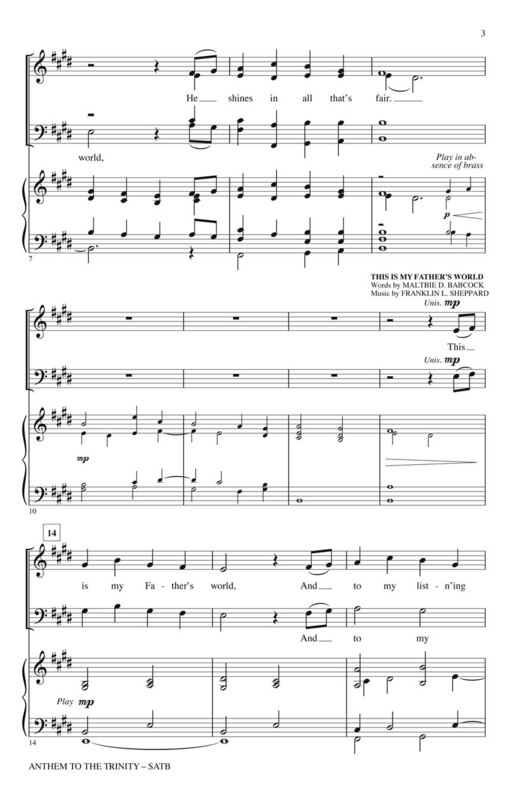 Hymns include: This Is My Father's World • Fairest Lord Jesus • Spirit of God; Descend upon My Heart • Doxology. Available separately: SATB; BonusTrax CD. Score and parts (tpt 1-2; tbn 1-2) available as a digital download. Duration: ca. 3:45.